Heavy dust and debris inside a galvanized metal duct. Visible black mold growth on a paper schematic diagram attached on a blower wheel cage inside an HVAC system. Visible mold growth, and deteriorated fiberglass insulation inside the evaporator coil compartment of an HVAC system. A supply galvanized metal duct with fiberglass exterior wrap, extended with branches of insulated flexible ducting serving a two floor family house. Visible black mold growth (Stachybotrys) on sheetrock wall. Visible mold growth extends behind ceramic tiles. Visible mold growth hidden inside wall cavity. Visible mold growth in between the fins of a typical evaporator coil. A typical residential HVAC system with opened access panels. Visible mold growth on sheetrock wall. Visible mold growth hidden on back side of tiled wall. While ceramic tiles do not absorb water, at least on their surfaces, when water penetrates the underneath substrate materials to which they are attached, the substrate materials will eventually develop mold growth. EnviroBliss is a company whose mission is to help our community and clients by becoming aware of environmental problems that affect their homes, offices, and workplaces that in turn will negatively affect their holistic well being. Our goal translates from making awareness into something positive by correcting such problems. 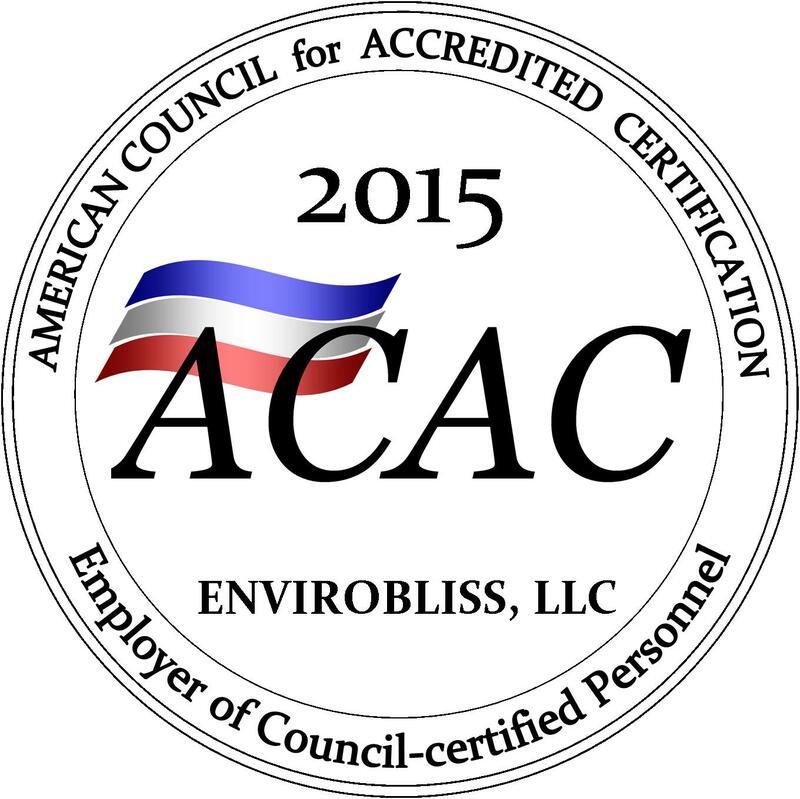 Our seasoned staff demonstrates their expertise in performing indoor environmental solutions including: allergen and asthma trigger identification and remediation: microbiological: heating-ventilation-air-conditioning (HVAC) system evaluation. Other areas of our expertise include the preliminary determination and remediation of water damage related mold problems; odor identification and reduction; and A/C and duct system cleaning, disinfection and re-insulation. Insulation replacement is highly recommended when there is evidence of damage, deterioration, mold growth or excessive moisture accumulation within an HVAC system. We are one of the pioneer companies in the mold remediation industry to incorporate glycerine-based fogging methods to remove suspended inflammatory micro-particles. We are specialized in fine cleaning for health concerned individuals. We are also trained to install commercial air cleaner and ventilation systems. Our outside laboratories are fully recognized, accredited, and also state certified. Since 2007 EnviroBliss has been engaged and successfully completed thousands of indoor environmental evaluations and decontamination projects. We are pleased to provide references upon request. Any discoloration on water damaged sheet-rock, painted plaster, and ceiling tiles indicates probable fungal growth. Any black discoloration on these surfaces indicates probable toxigenic fungal growth which must be removed with extreme care. Greenish discoloration on these surfaces indicates probable penicillium growth. If dirt and debris have accumulated within the HVAC system, microbial growth can occur when sufficient moisture becomes available. Reports of chronic sinusitis are common in buildings with fan-coil units (combination A/C and heating units installed beneath windows in most buildings) that contain damaged or deteriorated fiberglass insulation and fungal growth. Similar problems are common in the air handlers and ductwork. 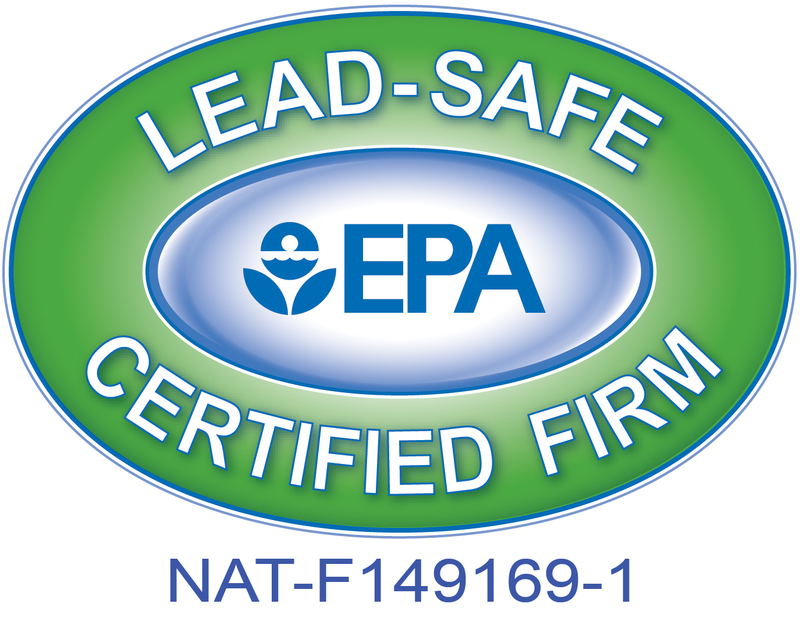 High levels of toxic, infectious, allergenic, fungal, and bacterial growth are frequently detected in these systems. In interior bathrooms and kitchens, exhaust openings are required by NYC Building Code to have suction 24 hours/day. Otherwise, particles including mold, bacteria, and tobacco smoke are likely to infiltrate into the living space through these openings. Most exhaust air from vacuums, spew out a large percentage of the particles that they collect including fungal spores, bacteria, and dust mites. Dried saliva, dander, and cat and dog hair accumulate on couches, comforters, and pillows, resulting in exposures by touching and inhaling. Pigeons on window sills and pet birds may also cause exposures. The biggest breeding grounds for dust mites are on your pillows, mattresses, down comforters, couches, and upholstered chairs. The primary fresh air source in high rise apartments is the common hallway air that often contains high levels of particulates including mold and tobacco smoke.